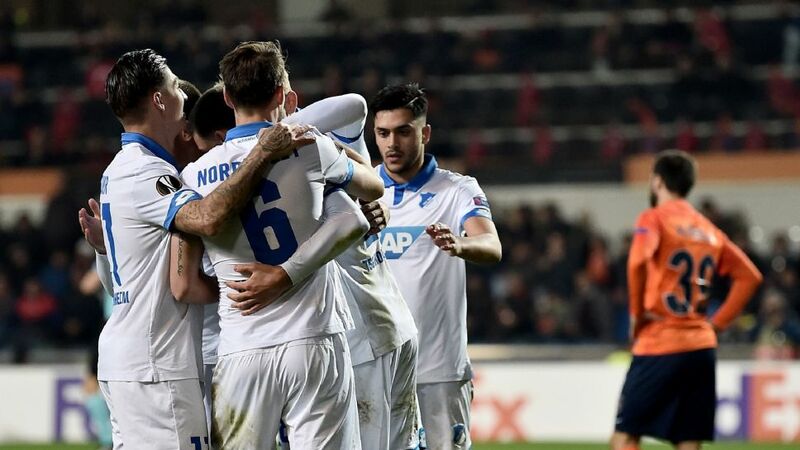 Hoffenheim were pegged back at the death in Istanbul as their hopes of qualifying from UEFA Europa League Group C suffered a blow. The visiting side had an early scare when Kerim Frei got in on the left but his powerful strike was smartly pushed over by Oliver Baumann. Kramaric tested Mert Günok at the other end before Hoffenheim skipper Kevin Vogt was forced off through injury. The unplanned change did not seem to bother Julian Nagelsmann’s team, however, as they dominated the longer the first half went on. Nico Schulz and Kerem Demirbay both drew good saves from Günok but home skipper Alexandru Epureanu also had a goal disallowed for a foul. The second half was two minutes old when the visitors got the breakthrough from the type of swift attack that had served them so well in the opening period. Andrej Kramaric played a great ball to Sandro Wagner, who beat the offside trap on the left, and he unselfishly squared for Florian Grillitsch to bundle home from close range. Ex-Hannover forward Mevlut Erdinc later headed over for Basaksehir but just when it looked like Hoffenheim had done enough, substitute Edin Visca cut in from the right and hammered a left-footed shot in from the edge of the area. Basaksehir: Günok - Caicara, Attamah, Epureanu, Clichy - Irfan Can (Mossoro 81') , Inler, Tunay Torun (Visca 62'), Napoleoni (Elia 81') , Frei - Erdinc. Hoffenheim: Baumann - Hoogma, Nordtveit, Vogt (c) (Posch 24') - Grillitsch, Demirbay (Geiger 74'), Amiri (Ochs 60'), Zuber, Schulz - Kramaric, Wagner. All four goals came in the second half of the reverse fixture in Sinsheim.Hoffenheim had lost both their away outings in this season’s Europa League, and suffered a 4-2 defeat at Liverpool in the UEFA Champions League group stage playoffs.Basaksehir have never won a Europa League match. This was their tenth outing in the competition.Basaksehir's Tunay Torun was born in Hamburg, and played for Hamburg (2008/11), Hertha (2011/12) and Stuttgart (2012/13).Mevlut Erdinc made 11 Bundesliga appearances for Hannover in 2015/16.